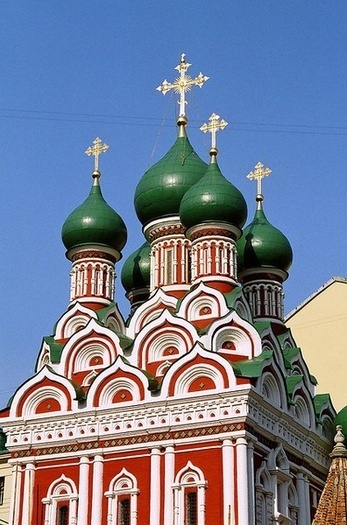 Church of the Holy Trinity, Moscow. Kitay-gorod, earlier also known as Great Posad, is a business district within Moscow, Russia, encircled by mostly reconstructed medieval walls. It is separated from the Moscow Kremlin by Red Square. It does not constitute a district, as there are no resident voters, thus, municipal elections are not possible. Rather, the territory is managed directly by Central Administrative Okrug authorities.